Art students ought to hurry down to the Swiss Institute and steal ideas from its exhibition of the early works of David Weiss (1946-2012). Rarely will they, or anyone else, encounter such a rich trove of high-level whimsy, visual wit and gentle irony. 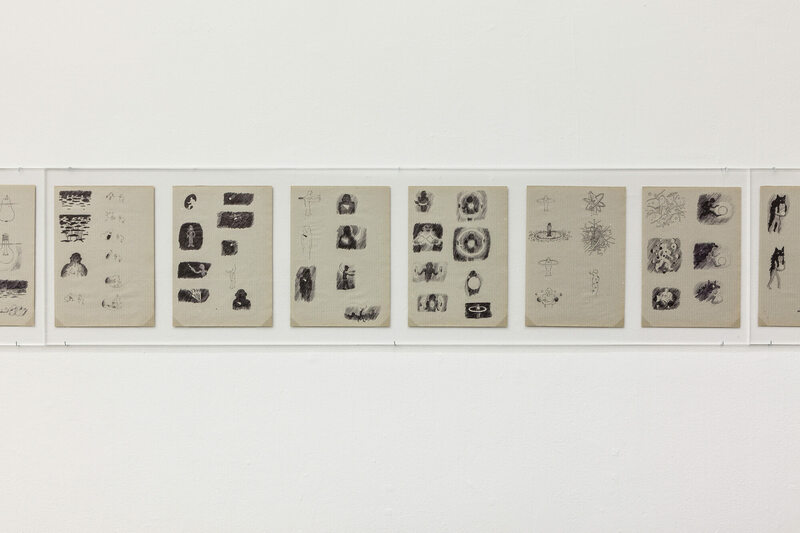 Before his long partnership with Mr. Fischli, however, Weiss was a painter, printmaker, draftsman, designer and fount of visual ideas meriting mention in the same breath as Paul Klee. Lyrically simple gouache-and-ink renditions of pools of streetlamp light, sketchbook riffs on Mickey Mouse and bits of handwritten poetry—well, words—are present in abundance, in vitrines and on the wall. Some might quibble that there are too many items in the show and, yes, the friezes of small drawings go on a little long. But the exhibition is so much fun—yes, fun—that too much is almost not enough. Detail of Wandlungen, 1974. Ballpoint pen on paper.